Official Charging Station Provider for Automakers: Webasto is the ONLY official charging station provider of Ford, Nissan, Fiat, Kia, Hyundai, Mitsubishi, Volvo, Chevrolet, BMW and Mini. Our charging stations have undergone rigorous automotive testing and came out on top. Highest Level of Safety Available: Your safety is our #1 priority. That's why we built TurboDX with the most advanced and state-of-the-art safety features available. TurboDX ensures a safe and reliable charge every time with thermal detection, auto-restart and recovery and ground detection against faults. It is UL and cUL listed, safe for indoor or outdoor use and can withstand extreme weather conditions. Charge with Confidence : Webasto is one of the 100 leading automotive suppliers worldwide. We have a long track record of continously meeting and exceeding automotive standards for safety, reliability, and quality. Our charging stations are backed by a 3-year warranty, decades of innovative technology, and over 25,000 satisfied EV drivers. 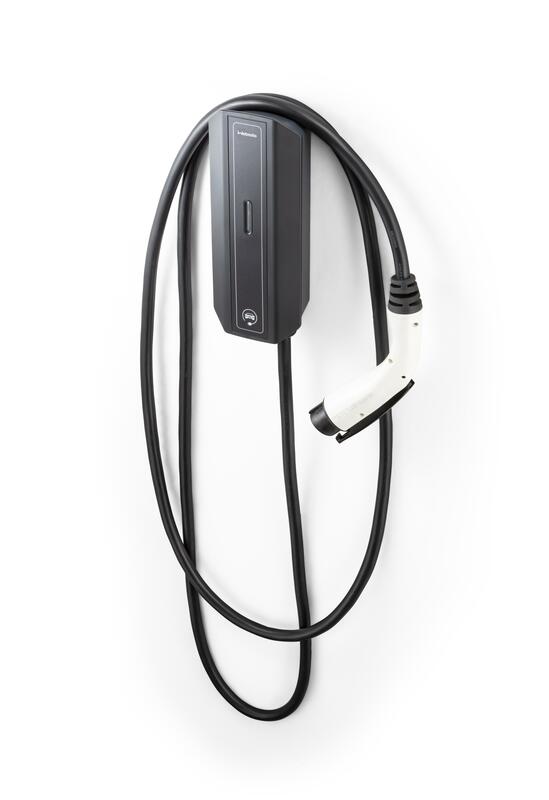 Flexible, Simple and Built For Your Life: Charging your EV should be a seamless experience. TurboDX is a simple plug and play solution. No need to download extra apps, manage notifications, or push extra buttons. With TurboDX all you need to do is plug it in - it's that easy. TurboDX has a slim and compact design which allows it to fit in most garage configurations. For public uses, TurboDX can accomodate a dual, triple or quad installation. The modular design allows for more cars to charge simultaneously and to expand as more chargers are needed. Your life is busy enough, your charging experience shouldn't be. Charge Up To 5x Faster: Level up your charging experience by charging up to 5x faster than with the standard cord set that came with your car. Features include a standardized J1772 connector, state-of-the-art safety features, durable aluminum rear enclosure, quick read status indicators, auto-recovery and auto-reboot. Quick Read Status Indicators - No Apps Needed: Quickly see the status of your charge without having to check your phone. Solid blue light for ready to charge, pulsing blue light for charging, red light for faults and issues. 24/7 Support and Nationwide Installation: We provide 24-hour call center support along with a 3-year warranty on parts and labor. We have a nationwide network of certified installation partners to help you get up and running quickly. TurboDX works with all production battery electric and plug-in hybrid electric vehicles on the market today, including: Nissan Leaf, BMW i series, Chevrolet Bolt EV, Chevrolet Spark, Fiat 500e, Ford Focus Electric, Kia Soul EV, Hyundai Sonata Plug-In, Mercedes B-Class Electric Drive, Mitsubishi i-MiEV, Smart Electric Drive, Tesla Model S, Tesla Model X, Volkswagen e-Golf, Tesla Model 3 and more! *Free 3-5 day shipping for residential customers in the Continental US only.